Even Kojima Productions Staffers Want To Make A New Z.O.E. 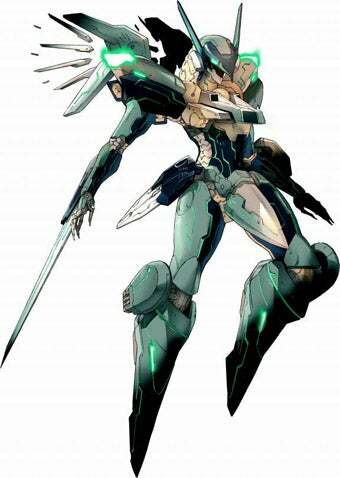 Game designer Hideo Kojima just can't stop going on about his mecha series Zone of the Enders. He's been writing about a possible Z.O.E. 3 and by doing so, has gotten his staff into a tizzy! "The reverberation has been bigger than imagined," the game designer writes. How big? Apparently KP staffers who worked on Z.O.E. have been stopping him on the elevator, in the office, in restaurants and in Tokyo Midtown, saying "Is it true? ", "When do we start making Z.O.E.?" and "Please let me join the team!" One guy even has a Anubis (Z.O.E.) print out tacked up on his cubicle! "No, no, a little longer," Kojima writes. "I want you to wait."